Transylvania is full of history; it has been ruled by many Empires and it was also once a Princedom, a collection of Principalities, and Kingdoms. The Dacian Empire was the first of them, and the last was the Kingdom of Romania. Transylvania is now a part of the country of Romania, which is a semi-republic that has both a president and a prime minister. However the one history that is not often mentioned is that of Vlad Dracula- a Prince of Wallachia. The reason for this is because he is a mixture of both myth and history. 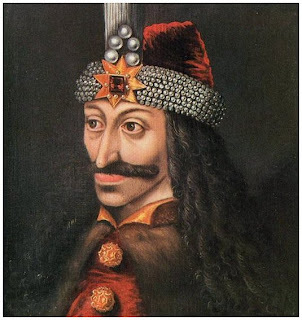 There were several princes of Wallachia who went by the name of Vlad. One was Vlad Tepes II and the other was Vlad Tepes III. Over the many years, there were many deaths in the family. Vlad Tepes II was killed, and so was his son. Before Vlad II's death he had joined the Order of the Dragon, and was later known as Vlad Tepes Dracul. His son carried on this name. Not only that, but the name of the house they belonged to was Draculesti. It faced constant rivalry with another branch in Wallachia. Transylvania was the birthplace of Vlad Tepes III Dracula, (at this time it was a part of the Kingdom of Hungary) and it was there where he eventually some of his famous methods to kill those who opposed him. The Germans did not like him as he was the one who would attack them in their city of Brasov. They viewed him quite negatively, and Tepes, as a warlord never quite recovered from this bad press.